The Amazing Spider-Man is Back! Here's Your Chance to Win! Who is one of our favorite super-heroes? Spider-Man, of course! 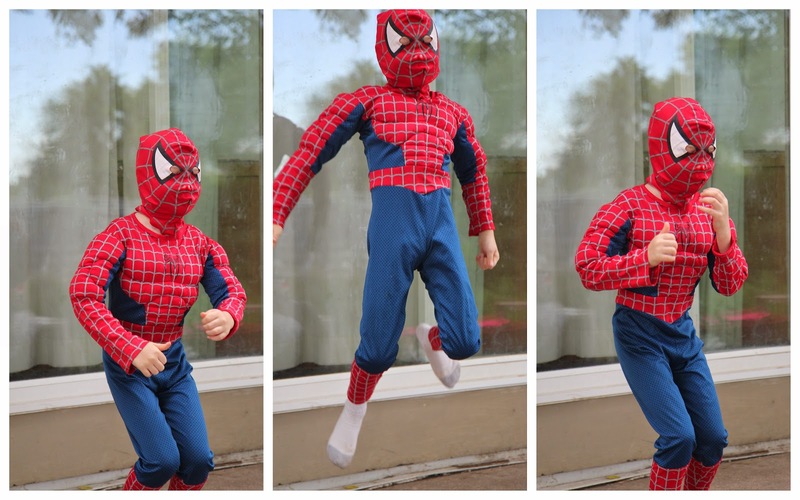 One of our sons is always running around the house, shooting pretend webs, jumping, and battling bad guys in one of the many costumes we have in our dress-up chest. My son Moses, above, is practicing his best jumping moves, something he does quite often. Now, on to the BIG news of how you can win the opportunity to have Spider-Man come visit your child's school! Enter the "Be a Hero" contest from now until September 14th, by creating a video and posting it on YouTube that explains why your school is amazing. Kids can have their parents' help with the shooting, but it must be from your child. Then entrants can tweet a link to the video with the hashtag #BeAHeroContest. 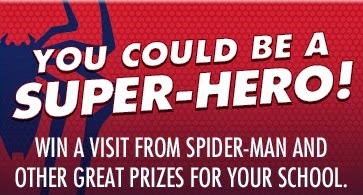 You can get more information on the contest, along with official rules at Walmart.com/Spiderman. *Note: Because the prizing is aimed at schools, homeschooling families aren't eligible at this time. You can still support your friends and family, however! If you decide to enter, link to your entry in the comments, and I'll share it from my Twitter account (@Lknerl.) Good luck!